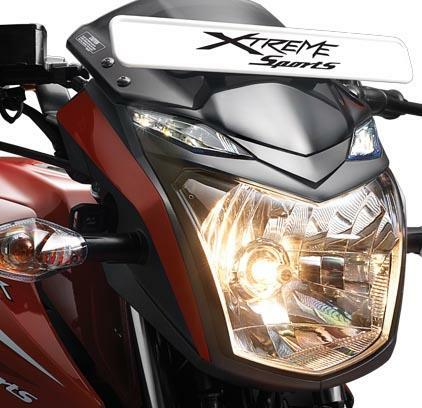 This article is about the Hero XTreme Sports bike. This article is based completely on my own personal experience and not influenced by anyone. I have tried to be honest and true with my views on the bike. Hope this article is useful. The CBZ banner was the youth's choice in India years back when it was first unveiled, now after many years of makeover and facelifts that brought many acceptable changes to the original machine, the bike still has a lot to offer in terms of styling, looks, raw power and reliability. 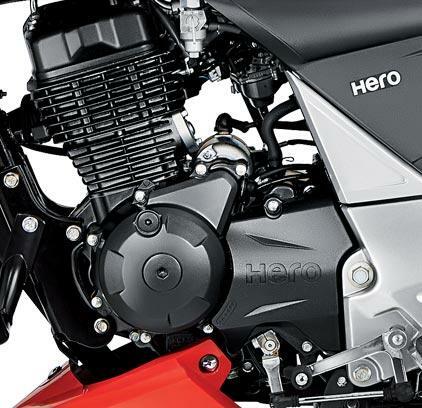 Though Honda and Hero have parted ways, the bike has all the trust and reliability it had when the original bike was launched, and undoubtedly it remains one the best in its segment. First, I would like to entirely review the new Hero Xtreme Sports, and how was my experience with this beauty, from the time I got my hands onto it. I was looking for a bike which would cater to my needs and which would have good power, decent mileage, good looks and for which I would not have to shell out a lot of money. I was going to exchange my old bike which was also a Hero Honda, So I opted for going for any Hero bike. The first two bikes got eliminated from my list the day I decided to go for their test rides. The new Hero Karizma was too much different from the enticing, dazzling and the conventional old Karizma R. Hero changed the looks so much that to a diehard Karizma fan it looked pathetic. I am not criticizing the looks of the bike, there may be guys around who may like it, but for me it was not that convincing. So the new Karizma R was not my cup of tea. Next in line was Hero Hunk, I always liked the bike because of its muscular looks and it was always one of my favourites. However, the moment I took my first test ride, I realized that I did not like the firing of the engine, it was nosier than I anticipated. This is not the bike I wanted. 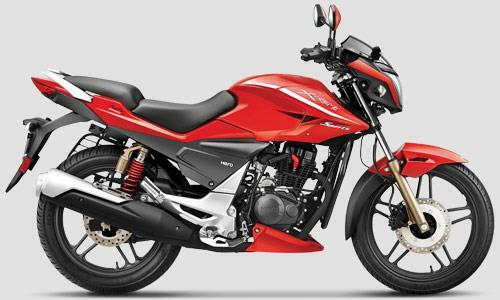 The showroom guy showed me the new Hero Xtreme Sports, which was kept on a raised platform, the stunning red colour looked appealing and was also new in design and looks, which was not the case with Hunk. My brother too liked it and we opted for the red one directly. As I knew that being a 150cc bike it would be powerful enough for me, the looks of the bike was certainly taken from the old bike, though some important tweaks here and there has given it a new look. 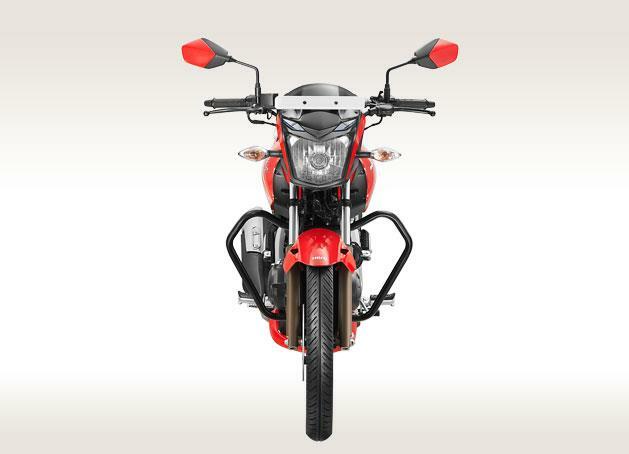 The front was completely new, the two LED lights above the headlamp adds colour to the overall looks of the bike but lacks the supreme design of the old CBZ extreme. Looks of the bike is good overall, and is eye catchy. Speaking from my experience, every pedestrian on the road would like to have a glance at it. Whenever I rode my XTreme, some or the other person would look at it and gaze at its beauty. The good things in the design is a change in the front visor which has got smaller and more compact than previous designs, the two LED lights are also good, but the indicator lights now aren't attached to visor. Rest of the design remains somewhat similar to the older versions. The rear looks a little like the Karizmas. The under cowl adds beauty to the overall look of the bike. Pros : Appealing new design, looks muscular like the FZs, LED lights add beauty, looks sportier. Cons : Too compact front visor, number plate position is irritating, key position is not practical in day to day use. 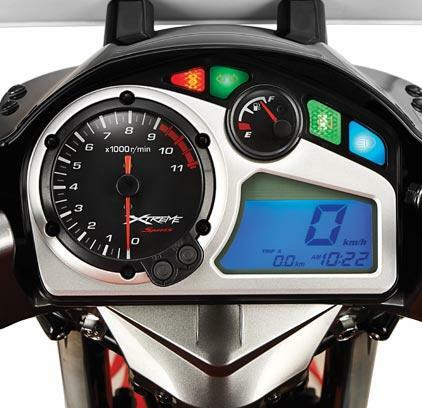 One of the best things I love about the bike is the Digital Console, it has two trip meters, Speedometer and a clock. The clock is handy, on the left comes the analogue Fuel indicator and the Tachometer. Along the side indicators, a stand indicator is also included which turns red when the stand is in use, that too is a usable accessory. The neutral indicator and the headlight indicator are to the right. The only thing I don't like about the console is the position of the tachometer, had it been turned a little to the right circularly, the rev meter would have looked a little aggressive, here even after reaching to 6000 or 7000 RPMs, the indicator does not reach even half the circle, this is the only grudge I hold against the digital console. The clips on handle bars are steady and give a lot of stability while riding, feels sturdier and hard as well, the switches and buttons surrounding the handlebars are of good quality, as Hero always offers. Being a huge fan of faired bikes and having used it for more than 5 years, the dead weight hanging on to the handlebars because of the headlight is somewhat annoying for me. The handle doesn't feel light at all and has a lot of weight and is not so soothing for me. But the overall handling experience in the city is fantastic and gives the rider a lot of confidence. The cornering ability too is good given the longer wheelbase. Ride it and you will want to ride it more and more. The bike is available in dual disc variant and a front disc variant as well. I went for the single disc variant. So far so good, the 240mm disc brake has a lot of bite, you can control the bike at any point of your ride. The Air Cooled, 4 –stroke Single Cylinder OHC Engine, I would say is one of the best in the 150cc segment, barring the likes of R15s and the CBRs. The engine gives out a maximum torque of 13.50 NM and maximum power of 15.6 BHP which is really aggressive in its class and takes you on. I didn't experience any kind of vibrations and unwanted rash noises from the engine of any sort. The acceleration is absolutely breath taking and you always feel on the top with this machine. The transmission is good but hard and not smooth and comfortable. Every time you need to apply that extra bit of stress while shifting. The clutch too is not light and for me I have experienced considerable amount of pain in my left wrist because of the hardness of the all-important clutch. Riding in the busy city traffic makes matters worse. But by continuous exposure you will get used to it, and then it will become normal. The suspension is one of the best things in real riding. The GRS suspension gives the rider and the pillion the best riding experience. Apart from the technicality of the bike, it is best suited for taller guys, shorter guys like me (5'3") have to really pop up and down a little. The weight is also a problem for short guys. If you ask me about the overall riding experience, I would give 3.9 stars out of 5. Pros: Highly powerful engine, aggressive seating posture, sturdy clip on handle bars, smooth suspension. Cons: Really hard clutch, weighty handle bars (may not be a problem for guys used to riding naked bikes) not so smooth transmission, front foot pegs fold up when stand is folded up. One of the main topics one thinks of is the mileage. My bike gives me around 52-53 kmpl in the city and 53-56 kmpl on highways. For a guy like me who likes to enjoy every bit of my ride, such a decent mileage from my beauty is absolutely fine and economical. So what is the final verdict? Should you go for it or not?? If you are guy like me, who wants absolute raw power and hard-core riding experience, gets satisfied with a 50 kmpl mileage and is ready to shell out more than Rs. 80,000, this is the perfect bike for you. Naked faired bike fans too can join in and go for it. This certainly is one of the best bikes in the 150cc segment. Looks and design wise it is wonderful. Last but not the least I would like to say, the bike will take care of you if you take care of it. Thanks guys for reading hope this was useful. Ride safe, Take care! I like reviews where people share their personal experience using the product. This was a good read. Ride safe! Thanks a lot for your comment. Nice to hear that the article about the Hero Xtreme Sports User review was useful.